Official information from Shanghai Rail reveals that the Shanghai-Kunming HSR, which is slated to open in full on 29 December 2016, as per the latest plans, will be part of the new national railway timetable effective from 05 January 2017. 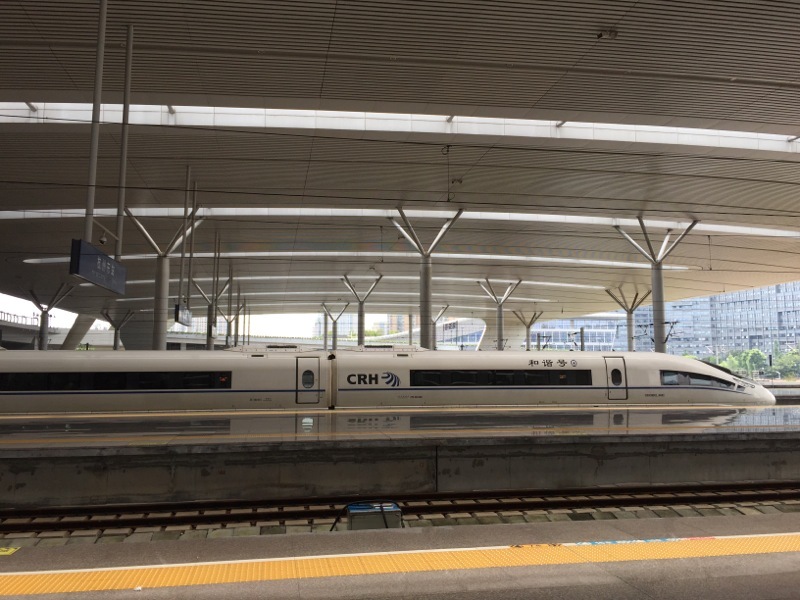 Here’s a look at the highlights of the new timetable, which is valid for connections to and from Eastern China around the Yangtse River Delta (mostly Shanghai, Nanjing, and Hangzhou, but also Hefei). All trains being added as above are expected to run via Hangzhou East (Hangzhoudong) Railway Station. Nanjing trains will not serve Shanghai. Trains running between Eastern China and Kunming should take between 9 to 12 hours, depending on the length you are travelling. This may not mean a Shanghai-Kunming train will always take 9 hours! There will be one train going in each direction every day on the routes above. This is addition to the existing train services, except for the Kunming services as described further above. There will be one train per direction as per the services above. Trains G7325 and G7326 will now become Trains G9301 and G9302 and will run daily on the Shanghai Hongqiao – Wenzhou South (Wenzhounan) services. They used to operate only during peak travel periods. Finally, three new trains in each direction (totally six daily) will run between Hefei South (Hefeinan) and Anqing. These will be Trains G9501–G9506. Trains G9235–G9238, which run the Shanghai Hongqiao – Tongling services, will now be extended form Tongling to Chizhou. Please be sure to check with official rail sources regarding the precise, reconfirmed date of opening of a new railway line. Tracking China will also endeavour to keep you updated on this.